Today I have a polish to show you from a new British brand called Jacava. Jacava are designed in London and made in the UK, and are free from all those nasty chemicals - Toluene, Formaldehyde, Camphor and DBP. The first thing I noticed about this brand was the long gold caps, which offer plenty of control while applying polish. The brushes are also longer than the average polish brush, which also helped with application (Especially since my nails are so long and narrow!) And according to the media pack, the brushes touch the bottom of the bottle, making it easy to use every last drop. So far so impressed. But what's the formula like? Really good, actually. It's quite thick but not too thick to manage, and was perfectly opaque in 2 coats. Once applied, it looks super smooth and shiny...my pictures seem almost photoshopped because the polish looks so smooth! See how smooth it looks? I'd like to try a few more colours! They have a few metallics in the collection and I'm interested to see what they're like. Jacava is available www.Jacava.com and also at Amazon. They retail for £13.50 each and are currently 3 for 2 on the website. wow that's gorgeous! and i love that handle, looks awesome for applying! Oooh that one's gorgeous! They sent me one to review too (a different colour) and I'm so impressed with the quality. I love your colour, that's lovely. 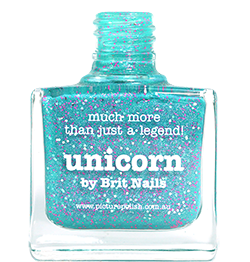 Oh my...I really want this polish, it's si crelly!